We are thrilled to welcome Deanna Fugett to Lands Uncharted today! 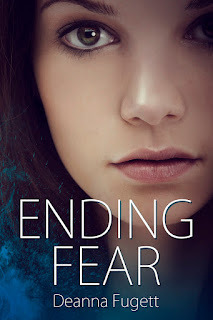 Deanna is one of my critique partners and dear friends, and I'm so excited to be part of the blog tour celebrating the release of her debut novel, Ending Fear! I'll include more about Deanna and her book below, but first she's put together a top 3s post for us that really resonates with the theme of her book. Enjoy! My book Ending Fear talks a lot about things that make us afraid. Being terrified of “whatever” makes our hearts pound and our forehead sweat bullets. In Ending Fear I try to show the character arch of my MC, who happens to be named Fear, transitioning from fearful to brave. While often in life, we are afraid of more than one thing at any given time, the truth is there is Someone who can help lessen our fears. He happens to mention the fact that fear is “not okay” more than 300 times in this big ol’ ancient book that was written over 2k years ago. It’s a pretty cool book. You should check it out sometime. It’s called the Bible. Why do we have fear anyway? Sometimes it’s to keep us safe. We have a legitimate fear of fire, because we understand that fire can hurt us. We fear pain, because pain can lead to death. These are natural, “safety features” God has instilled in us to protect us from harm. But what about all those other fears? Those ones that are just “maybes?” The ones that might even sometimes be slightly…irrational? Or ones that aren’t irrational at all? Yet God says we shouldn’t fear. How do we keep these fears from tormenting us? Keep these things we worry about at bay, even the ones that seem totally normal? We’ll talk about that at the end of this post. First, I’m going to admit to you my top three fears. There, I said it. I am a “nice person.” That’s what I’ve been told my entire life. If you asked my kids or hubby they’d tell you…yeah, that’s not the case a lot of the time. But I digress. Your family always sees you at your worst. I don’t consider myself a people pleaser, but I know I used to be. I’ve had to buckle down and realize in my adult years that there’s no way to possibly make everyone happy. I had to let that one go. But I do want to be liked. I abhor the idea of people not liking me. Isn’t that crazy? To still care about that as an adult, and yet I do. Truth is, I like almost everyone I meet. I genuinely try to find the best in everyone so I always find something likeable about almost everyone. I say almost because there is that rare person, who just….well, you know that type of person. The ones who just reek of malice and hate. But most people have redeeming qualities. I like to latch onto that quality and enjoy the person for that part of them. When people latch onto only my bad qualities and don’t even bother looking for the good, it hurts. I don’t understand it either. No one is perfect and we should all be giving each other grace. But I know, in this fallen world, it just doesn’t happen. So there it is. I fear your rejection. I do. I hate even thinking about people who dislike me. It’s a painful thing for me. 2) Fear of my kids getting physically hurt. I’m not talking about a bruised knee or a papercut here. I understand, kids are clumsy and growing. They are going to trip and fall. They are going to get bloody elbows and scraped legs. It happens. It’s part of childhood. What I’m talking about here, is those horrible dark fears that most parents worry about. We all have them. And they’re too atrocious to say. I can’t even utter the words. But you know exactly what I’m talking about. It’s enough to want to smother your babies for the rest of your life, hiding them in the clutches of your loving arms, not allowing them to go out and possibly get hurt…because let’s face it. You can’t trust anyone. And I mean that. Humans are imperfect beings. We are rotten sinners and I wouldn’t put anything past anyone. I know this may offend some, but that’s just the way this protective mommy feels. I know a lot of other mommies who feel the same. 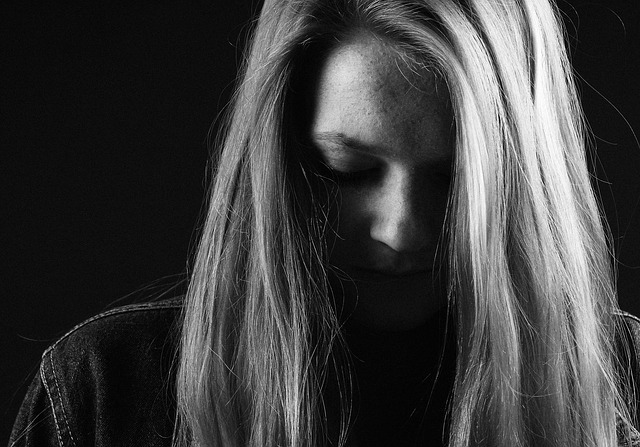 How do you deal with these fears of “what if” in the crazy, sin-filled world we’re living in? How do you allow your kids some freedom and not shelter them so much that they can’t breathe? I’ll answer these questions soon. I was going to say spiders, but in actuality a centipede would make me just as jumpy as a spider. So it has to be basically anything, big and fast that has a lot of legs. Some spiders scare me more than others. Those itty bitty ones I can squash with my thumb, no big deal. But get one that has a giant body or giant legs and I’m screaming until my throat is raw. 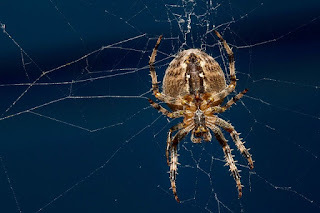 Just ask my middle son about a recent experience that involved a smashed lightbulb and me throwing trash all over the place, in my quest to kill (unsuccessfully, I might add) a giant spider. My throat wasn’t the same for over 24 hours. Here’s another example literally staring me in the face. I have dead spider guts smeared on my wall right at this very moment. Right below the dead spider is a shoe with another dead spider smashed to the bottom of it. I don’t do spider cleanup very well. 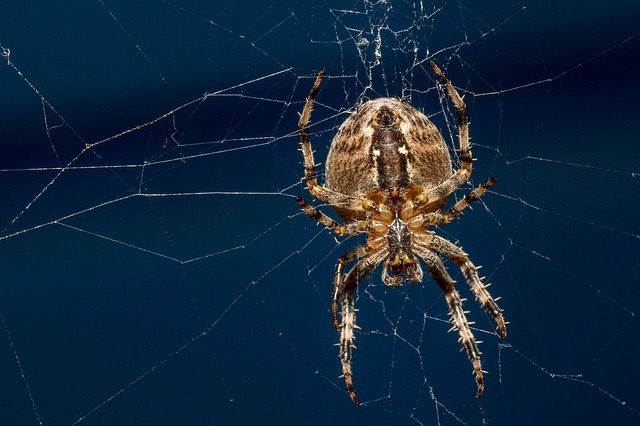 So how do we deal with our fears? Why is our world so horribly worried about everything? Why do I see so many women literally drowning in their fears? Letting it strangle them until all the life has drained from their bodies. You see it every day. Everywhere. Fear is an epidemic. And if you don’t get it under control it will swallow you in one large gulp. I will admit something to you right now. When I was young I was the most fearful person around. I was nervous and scared all the time. My fears never ceased. It was a constant, always lurking in the back of my skull, ready to spring forth and tear my mind apart in its swift jaws. In 7th grade I was finally fed up with living like that. With a yoke tied around my neck. I wanted freedom, I wanted peace. I cried out to God and said, “God, free me of this oppressive fear! Heal me and take it all away.” And guess what? He did. Sounds simple, eh? Well, it is. Our God is a mighty God. Nothing is impossible for Him. Do you believe that? I mean, really, truly believe that? Now I’m not saying I don’t ever have those fears spring back up from time to time. They do and they will. But it no longer controls me. It no longer owns my life. God owns my life. And He can do with it as he pleases. When you choose to be brave, God will honor that. When you trust in Him, he listens. He won’t let you down. Trust me. Trust HIM. Deanna Fugett’s heart belongs to writing. 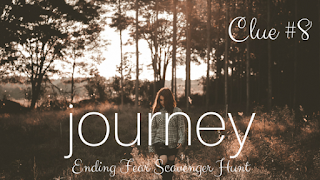 Author of edgy YA Dystopian fiction with an underlying message of hope, this stay-at-home mom of four focuses on writing as much as humanly possible. She was published at the young age of six in a local newspaper and is excited to be published again. It only took twenty-six years. She enjoys the thrill of writing fiction that deals with intense topics and prays it will impact people for the better. Visit www.DeannaFugett.com to learn more about her. 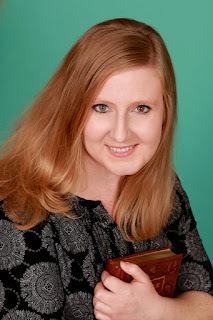 You can also find Deanna on her blog, Facebook, Twitter, Goodreads, and Pinterest. Fourteen-year-old Fear learns she was a parachute baby, dumped over the edge of the Gliding Lands as an infant. Running from her abusive Downer family, Fear discovers a new family—one who knows how to love. But then her new little sister is kidnapped and sold to a harem. Fear must go against her namesake and journey to the dreaded Gliding Lands before the little girl’s innocence is ripped from her forever. Can she save Happy in time? 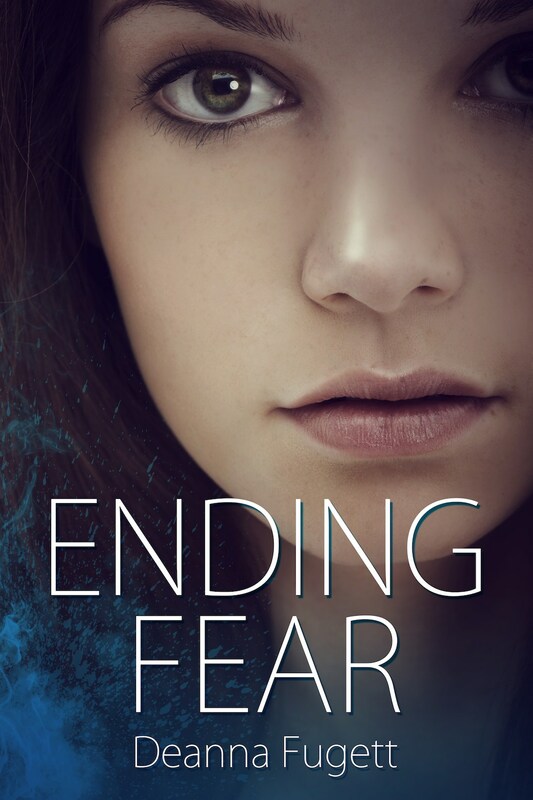 I had the privilege of being an endorser for Ending Fear, and it's an emotional, moving story in a setting that's unlike any Dystopian I've ever read. Plus, that gorgeous cover! You can purchase it here. Also, Ending Fear has a corresponding coloring book! How fun is that? Find it here. And make sure to join in the Facebook launch party on Thursday, July 20th, which you can find here. And here's the form you need to fill out. You can find the full schedule of posts for Deanna's blog tour, which each have a different scavenger hunt clue, here. Thank you so much for visiting today, Deanna, and congratulations on your new release!!! Great post, Deanna. I can definitely relate to #1 and can imagine #2 even though I don't have kids yet. Number 3 doesn't bother me for the most part (I'm a biologist, I find lots of things, even bugs fascinating and beautiful in their own way--God did make them, after all! ), except for dragon fly larva. They just look evil. Ending Fear will help a lot of people, I know. Congrats on the upcoming release. Deanna, I so can relate! I had a horrifying fear of wasps. I was having nightmares and literally almost hyperventilated one time (okay, I'm pretty sure it was more then once) and knew it was bad, but wasps. *shivers* However, like you, the Lord really did free me from that crippling fear. I still don't like wasps, but that fear I had no longer holds me. Thanks Laurie and everyone at Lands Uncharted for having me on your blog!! !